Metro Transit Police Department officers Josh Moberg and Juan Peralta will patrol buses and light rail trains in downtown Minneapolis in 2019, while Michael Affeldt and Joseph Carchedi will patrol all northside neighborhoods with transit service. Both teams will patrol on foot, squad and bike. This is the second year on the downtown Minneapolis beat for Moberg, who joined the department in 2015 and has also worked in St. Paul for MTPD.He will focus on addressing low-level crimes on and around the Warehouse LRT Station platform and to make the Hennepin Avenue corridor from Washington Avenue to 12th Street safer for Metro Transit customers. Moberg coaches other law enforcement officers how to use verbal de-escalation skills when dealing with people during a mental health crisis. 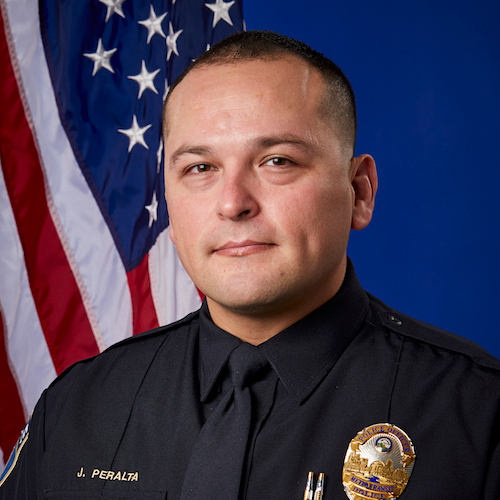 Peralta, who also joined MTPD in 2015, is a volunteer and active community member. He currently volunteers with the Minnesota chapter of the National Latino Peace Officers Association. He lives in downtown Minneapolis and is a member of his housing association and the Minneapolis Downtown Improvement District. One of his goals is to strengthen and expand partnerships and collaborations with businesses, security personnel, Minneapolis police and Hennepin County government. Officers Michael Affeldt and Joseph Carchedi, who worked the Minneapolis LRT beat in 2018, are assigned this year to the north side. They were the top arresting officers last year in Hennepin County and were fundamental in curtailing the rise of criminal activity at the Lake and Franklin Avenue LRT stations on the METRO Blue Line, making 406 custodial arrests. They issued more than 1,200 warnings to show their empathy and compassion, a strategy which they plan on repeating on the north side beat. 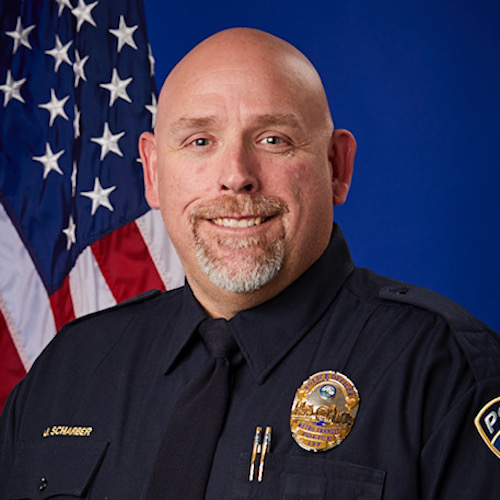 Affeldt began his MTPD career in 2014 as a community service officer. 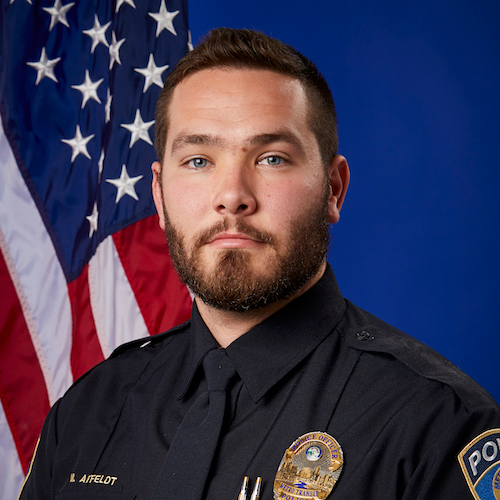 He was later promoted to a full-time police officer in 2015. He has worked in both St. Paul and Minneapolis for MTPD. 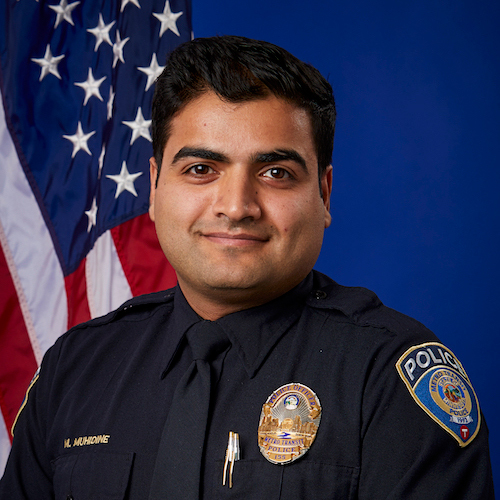 Carchedi began his MTPD career in 2015. He has taken crime scene courses at the state Bureau of Criminal Apprehension. With Affeldt, he took a week-long physical surveillance course for counter narcotic missions and implemented surveillance techniques and addressed quality of life crimes on Lake Street and Franklin Avenue. Marc Johnson and Josh Scharber are Metro Transit Police Department’s new downtown St. Paul day beat officers for MTPD’s East Command for 2019, working from 6 a.m. to 2 p.m.
Mohamed Muhidine and Daniel Hughes are now the St. Paul afternoon beat officers for MTPD, working from 2 p.m. to 10 p.m. Both teams are committed to keeping Metro Transit buses and Green Line light rail trains in downtown St. Paul safe by patrolling on foot, squad and bike. 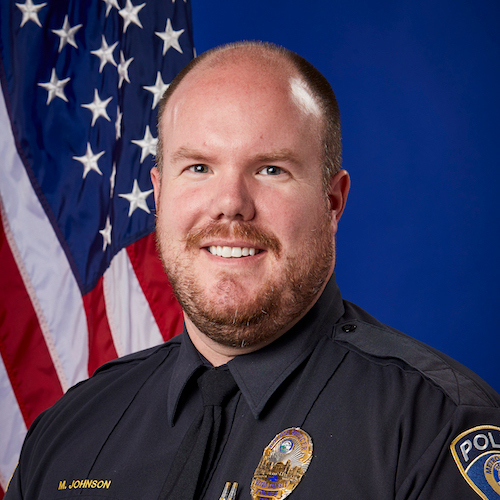 Johnson has been with MTPD for 10 years. He has experience in patrolling St. Paul and Minneapolis as well as the METRO Blue Line, on board buses and at the Mall of America. 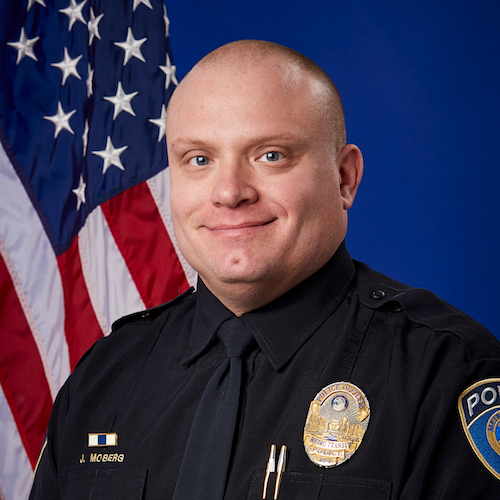 He was part of the first team of instructors to start MTPD’s in-house training unit, training other officers in firearms use and defensive tactics and helping mold new officers. Before joining MTPD, Johnson worked for the Anoka County Sheriff’s Department as a detention deputy and as a sheriff’s deputy for the Hennepin County Sheriff’s Department. Scharber has been a full-time officer with MTPD for nearly 12 years and has previously been assigned the downtown St. Paul beat, as well as Minneapolis and both LRT lines. He also has served on the department’s counterterrorism unit, been a field training officer, was involved with the accident reconstruction team and worked on a K9 unit as an explosives ordnance detection handler. 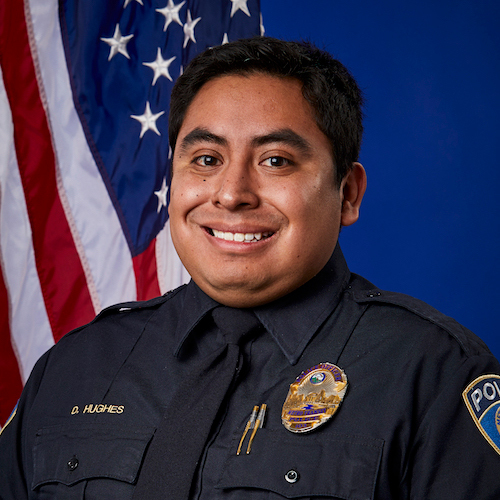 Hughes has been with MTPD for year and a half as a sworn officer and was a community service office for two years before that. For the last year, he worked on the Minneapolis side, attending community events along Lake Street and interacting with the Latino communities and regularly patrolled the Chicago/Lake Street area. Previously, Hughes worked in the Ramsey County Jail’s property room and was a volunteer police reserve with the St. Paul Police Department for four years. Before joining Metro Transit in August 2017, Muhidine worked for the U.S. Citizenship and Immigration Service, an agency of the U.S. Department of Homeland Security that administers the country’s naturalization and immigration system. He has experience in background investigation in the federal government. He is fluent in all Arabic dialects and one Turkish dialect. The Metro Transit Police Department partners with two well-respected and established youth services organizations in the Twin Cities, Mad Dads of Minneapolis and the Hallie Q. Brown Community Ambassadors program. Mad Dads and Ambassadors engage with youth on the buses and light-rail trains in an effort to reduce behavior on transit property that can lead to juvenile arrests. Sometimes the agencies will remind the youth of Metro Transit’s Code of Conduct, in other instances, Mad Dads and Ambassadors may connect a youth with services and resources like a food shelf, support at school, or a job. There are some people you can just tell were made to serve and protect others. Sergeant Tim L. is one of those people. With his football player-sized frame, calm demeanor and warm smile, Sergeant Tim creates an atmosphere of peace whenever you’re around him. You just feel protected in his sphere. But this isn’t just about Tim being a good guy, or even a cop. It’s about a man who believes in making a difference. Metro Transit police are doing more to help individuals seeking shelter on transit – and now they have a few new tools at their disposal. The most powerful tool they’ve received are vouchers that can be used to get people into a federally-funded rental assistance program. Such vouchers are typically hard to come by, but the Council’s Housing and Redevelopment Authority (HRA) secured nearly 100 of them this fall. Meet Elaine Warren, who's worked with other seamstresses behind-the-scenes to alter garments for the carnival royalty around the clock prior to the St. Paul Winter Carnival. She's also Principal Administrative Specialist at West Command for Metro Transit Police. Officer Tim Lawrence joined the Metro Transit Police Department in 2012 and has spent time at both the East and West commands. 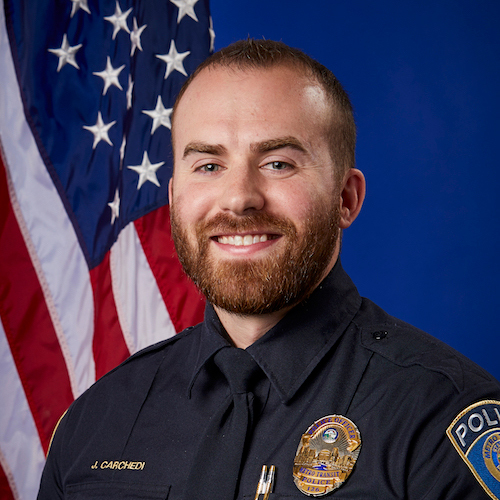 Lawrence was selected as the department's Officer of the Year for displaying compassion, having a strong work ethic and approaching his work with a calm demeanor. Lawrence also supports the department's efforts through his work on the Crisis Intervention Team, Bike Rapid Response Team and as a field training officer.